Click on the poster to watch the movie. Click on the IMDb logo for details about the movie. To make the site faster we increased cache times, refresh the page to see all the latest updates. Click here for a complete list of available old classic movies. from the very best selection of great classic movies by subscribing to Old Movie Time Premium. Please bookmark Old Movie Time, and tell your friends about the movies too, it is greatly appreciated. Below is a complete list of available movies sorted by year and IMDb rating. Old Movie Time has the best classic, black and white movies. 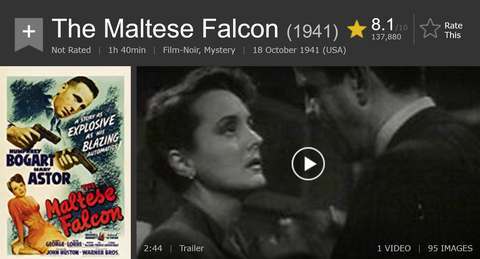 Watch full classic old movies for fee online. The best of the thirties, forties and fifties. No registration or memberships required. Watch your favorite films instantly without any downloads. We list the best old movies there are available. Click the genre for a list of old movies well worth watching. You can watch this movie for FREE right now. 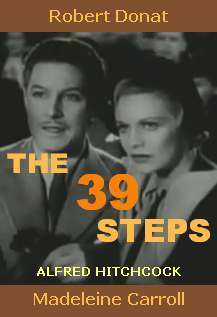 The 39 Steps - An Action, Mystery, Thriller by Alfred Hitchcock. A man must stop an espionage plot to clear himself. I'll Give a Million - Comedy, Drama. 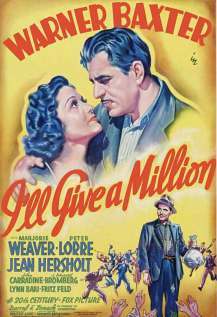 Stars: Warner Baxter, Marjorie Weaver, Peter Lorre. A millionaire takes on the attire of a tramp. 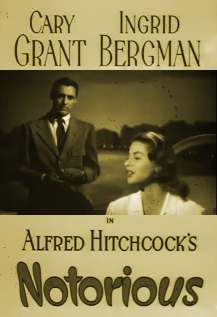 Notorious - Absolutely one of Alfred Hitchcock’s best films! An edge of your seat spy suspense, drama, thriller! 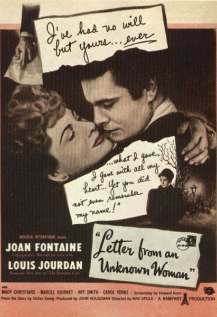 Letter from an Unknown Woman - Drama. Stars: Joan Fontaine, Louis Jourdan, Mady Christians. A man fleeing from a duel, receives a letter from a woman.